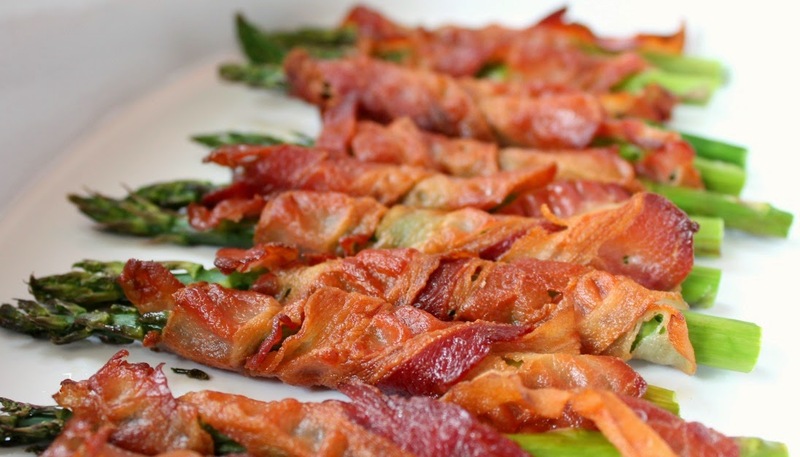 My kids love asparagus, but they love it even more when it is wrapped in bacon! If you are looking to go a healthier route, try using lean turkey bacon, it will still work, you might just have to cut each piece of bacon in half because they are so thick! Wash asparagus and pat dry. Trim off the woody stem - usually the bottom 2 inches. Wrap the bacon around the asparagus and secure it with a tooth pick on each end, holding the bacon in place. Place the baking sheet in the oven (with the oven rack on the upper middle slot), then turn it on to 400 degrees. The bacon wrapped asparagus should be in the oven during the preheat phase. Bake for a total time of 20-25 minutes, or until the bacon is crisp. Remove toothpicks and serve immediately.